It's the best song of the year. You guys have absolutely lost your mind. You can't. Objectively, you can't disagree, sorry. It's the most important song of the year. Perhaps I could take you to a club and show you why I'm saying this and what's innovative about it? I would really like that. 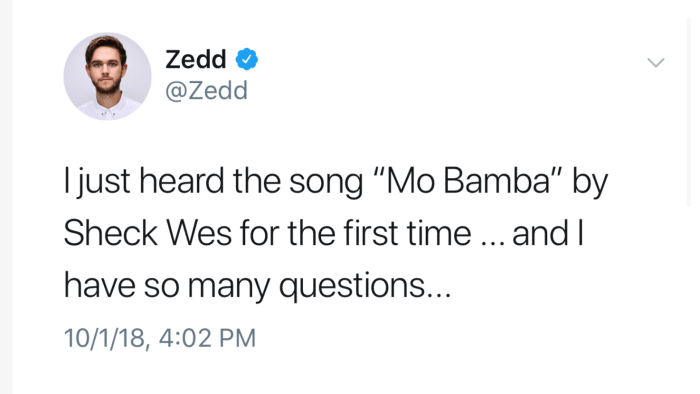 แล้วพวกเราล่ะ ชอบเพลง ‘Mo Bamba’ กันไหมเอ่ย?